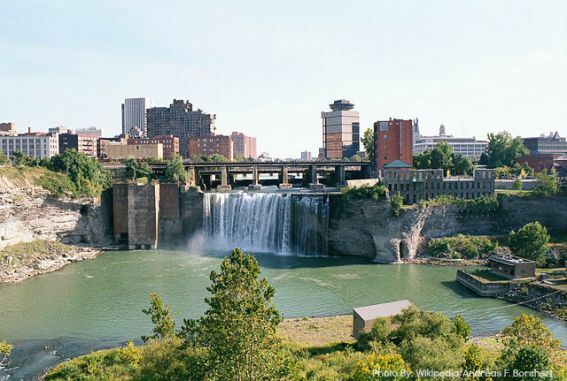 Get outside of New York City, and you’ll find that there is a lot for families to take advantage of in Upstate New York. Look for beautiful state parks, interesting museums, and kid-friendly activities around every corner, particularly in the summer. 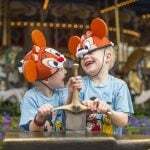 Here are the top 10 Syracuse family-friendly things to do. From guiding planes as an air traffic controller to exploring the inside of a human heart replica, kids will love the range of hands-on activities they’ll find at MOST (Museum of Science & Technology). There’s also a Science Playhouse that’s perfect for little ones, as well as daily planetarium shows, a climbing wall, an archaeological dig site, and an IMAX theater. 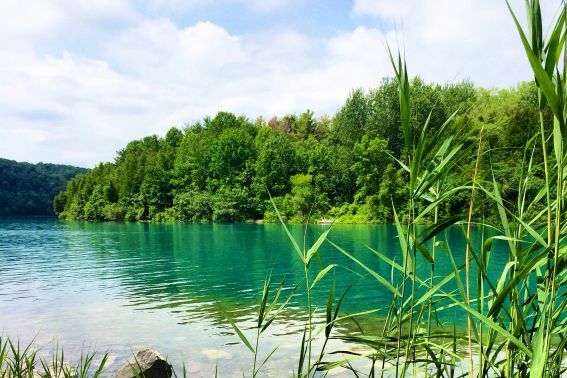 A hike around Green Lake is an absolute must-do at Green Lakes State Park (it’s less than two miles around the lake). The kids will be in awe over what makes the lake green. Bring beach towels to enjoy splashing in the lake and playing on the man-made beach after the hike. Save time for a round of Frisbee golf and bring bikes to cycle along the trails. 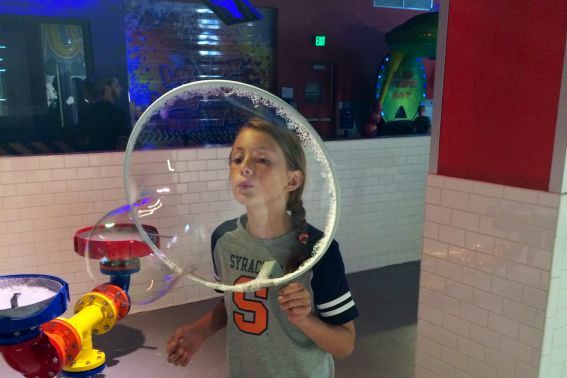 With more than 100 exhibits and hands-on activities at WonderWorks, kids won’t know what to do first. Lie on a bed of nails, create massive bubbles, use those brain waves to move a ping-pong ball, or grab a partner and play a life-size version of Connect Four. Before you leave, test your skills on the ropes course. There’s even a ropes course just for tiny tots. More than one million visitors come to Onondaga Lake Park each year for the paved trails and fantastic playgrounds, as well as rowboat and kayak rentals. As a bonus, there’s even a Butterfly Garden, a historic Salt Museum, and a Good Dog Park complete with tunnels, bridges, and red fire hydrants. 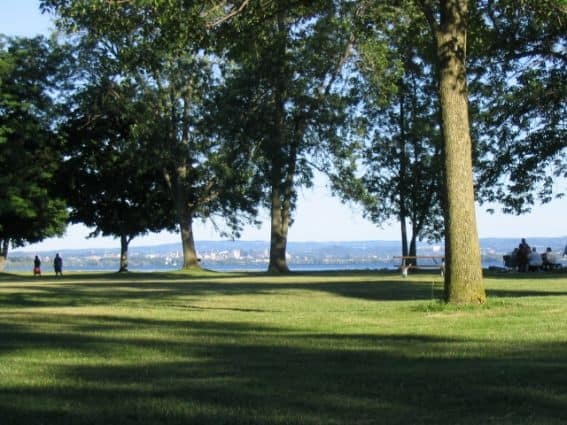 Bring along a family picnic since you can easily spend a full day enjoying Onondaga Lake Park. Get to know the famed Erie Canal by way of a two to three-hour cruise aboard a double-decked boat with Mid-Lakes Navigation. 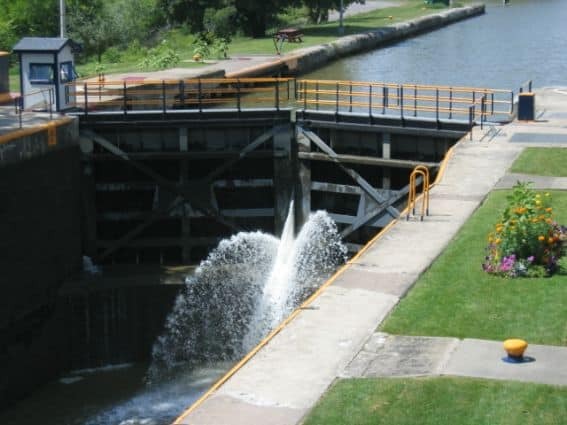 Depart from Dutchman’s Landing just outside Syracuse in Baldwinsville for a history lesson on the Erie Canal. Keep your eyes open for blue herons and bald eagles. Before or after the cruise, take time to explore the Baldwinsville waterfront. 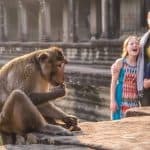 Home to 700 animals, including elephants, lions, and red pandas, kids of all ages will love spending the day at Rosamond Gifford Zoo. Meet the zookeeper during twice-daily programs, and learn about the secret lives of penguins as part of the Penguin Keeper Talk. Also, spend a few moments exploring the zoo’s green initiatives, like the rain gardens. Climb aboard a canal boat and take a short guided tour (weekdays only) of the Erie Canal Museum to learn about the role this canal played in the economic development of our country. Kids will also enjoy watching a short video on the history of the Erie Canal. Admission to the museum is free, though a $5 donation is suggested. Located just outside Syracuse, Beaver Lake Nature Center has nine miles of nature trails to allow visitors to enjoy the lake and local wildlife. The Beaver Lake Nature Center also offers multiple programs throughout the week, such as early morning canoe tours, night sky activities in the evenings, and guided walks with naturalists on the weekends. 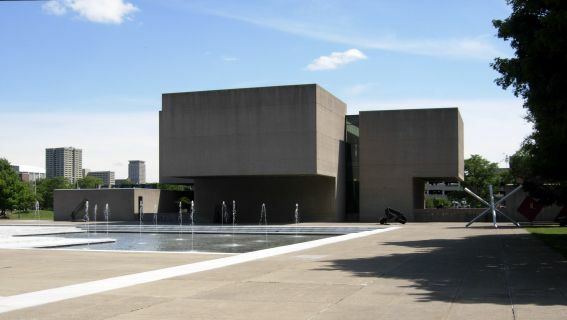 Explore various paintings, ceramics, and sculptures with your kids at the Everson Museum of Art. Then, head to the Art Zone on the lower level where kids can create pottery and other works of art before dressing up in costumes to have their pictures taken in front of various scenery. Look for weekend family workshops that take place every few weeks. Start your day at The Wild Animal Park in nearby Chittenango with a stop at the petting zoo to visit with goats, alpacas, donkeys, and camels. 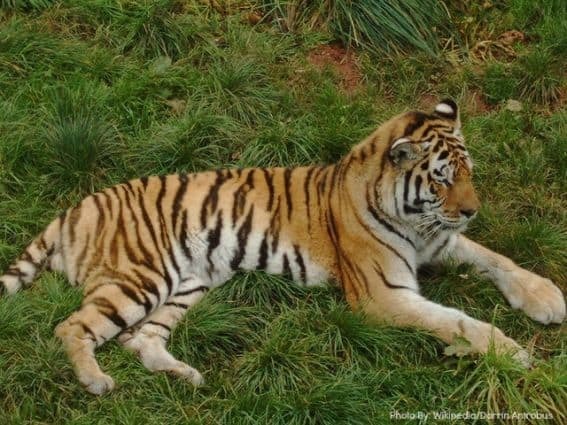 Take time for educational talks about bears, tigers, and alligators. 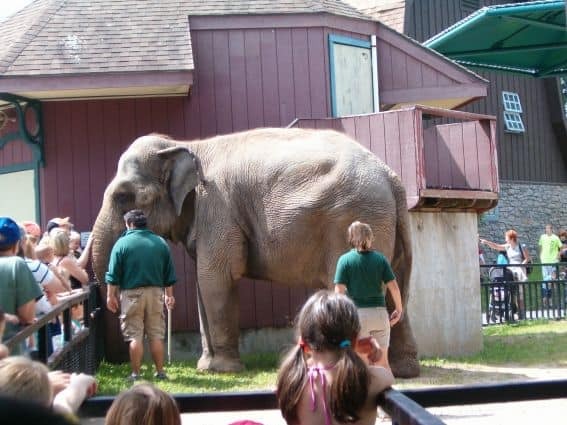 You can even watch each of these animals being fed by the keepers during the talks. 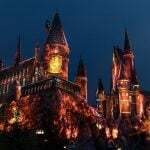 Be sure to check the online events calendar for movie nights and flashlight safaris. Cooperstown: For baseball lovers, go east across I-90 to spend a few hours at the National Baseball Hall of Fame and Museum. Kids will love the 135,000 baseball cards on display. Also, stop at the Heroes of Baseball Wax Museum. The baseball bloopers in the movie theater are a must. 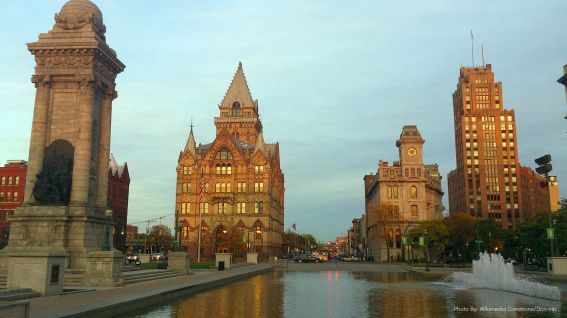 Rochester: Just 90 minutes from Syracuse, kids will love The Strong (aka the National Museum of Play), the National Toy Hall of Fame, and the Rochester Museum & Science Center. There’s so much for little minds to see and do. 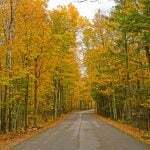 Look for lots of nature trails and outdoor adventures, too. Ithaca: Plan for a hike and a picnic as you visit waterfalls, gorges, and state parks in the Ithaca area. You may also want to spend time exploring Cornell University or Ithaca College, both of which offer various cultural activities and museums. 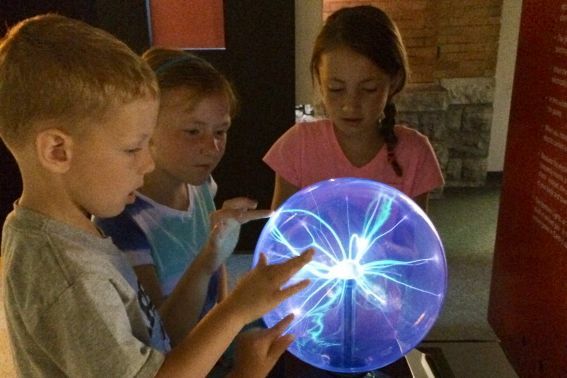 Before you leave, head to the Sciencenter for 250 interactive exhibits. Dinosaur Bar-B-Que: A landmark in Syracuse, head to Dinosaur Bar-B-Que early for fantastic barbecue, brisket, and pulled pork dishes. Kids will love checking out the pop culture memorabilia on the walls. Stella’s Diner: A popular spot for breakfast, Stella’s Diner is a must-go for omelets, home fries, and silver dollar pancakes. The portions are large and the service is good. As a bonus, breakfast is served all day. Heid’s of Liverpool: Go to Heid’s of Liverpool for hot dogs, which are considered by many to be the best-ever hot dogs. 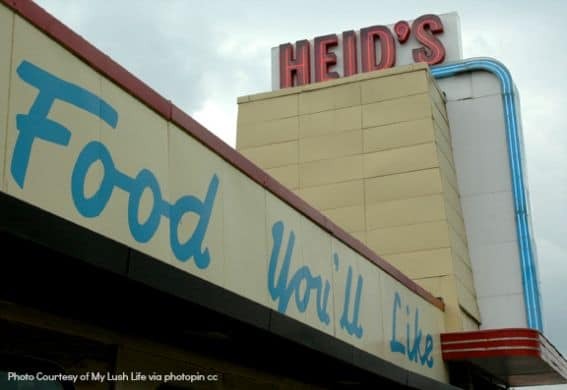 Rumor has it, a hot dog and a chocolate milk at Heid’s are an absolute must. Sounds like a perfect treat for little ones. 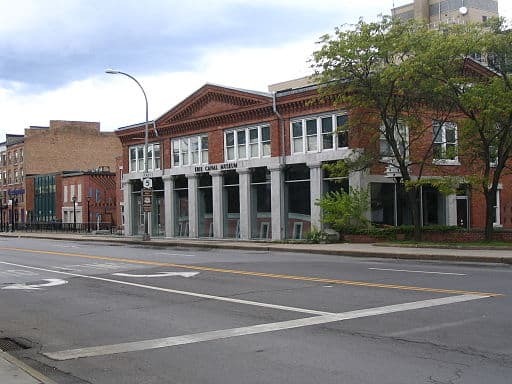 DoubleTree Hotel Syracuse: Located just minutes from downtown Syracuse, the DoubleTree Hotel Syracuse offers families both an indoor and an outdoor pool, as well as an on-site restaurant and adjoining rooms. As a bonus, look for fresh-baked chocolate chip cookies at 4 pm each day. Embassy Suites Syracuse: Families will love that all accommodations at the Embassy Suites Syracuse are two-room suites. 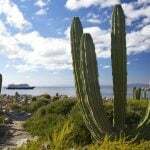 Even better, look for a free, cooked-to-order breakfast, as well as a nightly evening reception with drinks and snacks. The hotel has a heated indoor pool, too. Genessee Grande Hotel: Located very close to both Syracuse University and Destiny USA, the Genessee Grande Hotel is a great base for visiting various attractions in the Syracuse area. Kids will love exploring both the lobby of this historic hotel, as well as the on-site Koi pond. Disclaimer: I was recently a guest of the Syracuse Convention & Visitor Bureau. However, all opinions expressed here are my own. Erin Gifford is a mother of four who writes about family travel at kidventurous.com. You certainly hit some high spots… but I’m sorry you missed Webster Pond, in Syracuse’s Valley section. The “duck pond” is in the city yet has a country feeling. Families can interact with the ducks, geese and Grace, the swan. The Anglers Association operates Webster Pond and has installed a fence to reduce the chance of birds crossing Valley Drive. Next time you’re in Syracuse, please come and check it out.